Unfortunately, we are back from our fabulous vacation in Greece and Turkey (back to reality and work…. sigh). THANK YOU, THANK YOU, THANK YOU!!! Greece was spectacular and Turkey was magical!! We had the most incredible time — absolutely wonderful!!!!! And all thanks to our amazing and knowledgeable travel specialist. Petros, everything was remarkable! The hotels you selected (their locations could not have been any better), our drivers, our tour guides… all TOP NOTCH! We appreciated that all our transfers and tours were pre-arranged and prepared, so all we had to do was to “show up”. We loved, loved our guided tours and your restaurant recommendations. All I can say is that the trip would not have been as remarkable had you not assisted putting it together for us. I am still walking on clouds as this was one of the most wonderful trips I have taken. Everything… I mean everything was perfect. Thank you for arranging such an amazing trip for us (and thank you so much for the “Bubbly” you sent to our hotel room). YOU ROCK!!! Hellenic Holidays did an amazing job with helping my wife and I plan out Honeymoon to Greece. A coworker of mine had previously went through Petros and strongly recommended him. After reaching out to him, Petros promptly setup an introductory call. He gave us background on the islands and helped guide us in direction that suited us and our budget. After finalizing our travel plans with Petros, he sent us a very thorough itinerary, including daily activities and restaurant recommendations. We had a conference call the week before our honeymoon and we reviewed the itinerary, giving tips and pointers, as well as specific directions our vehicle transfers to help put us at ease. During the honeymoon, every transfer point went smoothly, with the private drivers picking us up right on time. Petros had booked us a high-speed boat transfer from Mykonos to Santorini and upgraded us to Business Class, which worked out very well. He even sent our flight boarding passes to each hotel, so during check-in they gave them to us to make things go more smoothly. The hotels that he recommended were amazing (Mykonos Grand, Astra Suites and New Hotel), with some of the most incredible views we’ve ever seen. He helped to upgrade our rooms and each new hotel had a gift ranging from cheese and crackers to wine and champagne. The sunset cruise that he coordinated for us had an amazing dinner, excellent views and the ability to swim in the hot springs. Lastly, we took most of his recommendations for restaurants and all of them were amazing. Again, thanks for all your help. You did a wonderful job and we’ve already been recommending you to other friends and colleagues! My wife and I recently celebrated our ten year anniversary in Greece. We spent two days in Athens, and three days in both Mykonos and Santorini. We had a blast. Our travel agent Petros Zissimos at Hellenic Holidays organized everything from soup to nuts. No detail was left unturned. We got off the plane, a driver awaited us. We show up at our hotel after a long flight to a bottle of champagne in our room. We took a tour of the Acropolis, and ended up with an outstanding tour guide. We wake up the next day and connecting plane tickets were printed out for us to save us some time in the airport. And so forth. The hotel choices were outstanding. The restaurant recommendations were great. And our day to day excursions were lots of fun too. There were literally no hiccups along the way. Needless to say we highly recommend Petros to anyone looking to go to Greece. If you would like to see the itinerary or discuss the trip in further detail, please feel free to reach out to me at your convenience. We worked with Petros Zissimos from Hellenic Holidays, Inc. to plan our honeymoon to Greece this past August. It was truly a trip of a lifetime and we are so happy we booked our trip with them! Between the two of us, my husband, Ryan and I have only been to Europe a couple of times so planning a trip in another country was very intimidating. I knew I was in good hands with Petros because he was recommended to me from a well-traveled friend and after our first conversation, I realized that he was very knowledgeable and an expert when it came to planning our itinerary for Greece. My husband and I had a price range of what we wanted to spend on our trip and I provided it to Petros. Rather than take our highest price and plan a trip around that number, Petros listened to what our interests were and what we what we would like to do while on our trip. We decided to spend two nights in Athens, four nights in Mykonos and four nights in Santorini. The final quote actually was towards the lower end of our budget which was wonderful for two. Petros truly looks for the best prices that can suit everyone’s budget. Throughout the process I had several questions about our accommodations and things to do since we were traveling to three locations in Greece. Petros always got back to me via phone or email in a timely manner to answer all of my questions. He also called me a couple days before we left for the trip to confirm and review all of our accommodations and talk through any last minute concerns that we may have had. All three hotels/resorts that Petros booked were top notch! Ryan and I felt very spoiled, everything was beautiful. The transitions from place to place and all hotel accommodations were so easy. There was always a driver expecting us when we arrived, or departed each location. Petros also provided several restaurant and activity options for each location that was convenient to where we were staying- the ones we did pursue were well worth it. Our whole trip was stress-free, exactly how a vacation should be, but we were able to experience and see a lot since everything was so nicely organized for us. I do know that Petros has wonderful relationships with the drivers everyone at each of the hotels because they all seemed to be very familiar with him. We could tell he strategically placed us in locations that made it easy to get around and do things, especially in Santorini- we were placed towards the middle of the island making it easy to plan day trips to the various towns around the island- this location also happened to be the most beautiful view of the entire island! Greece is a beautiful country-there is so much to experience, the people, the culture and the cuisine are all amazing. We had high expectations but this trip exceeded all of them. If you are thinking about traveling to this country, we highly recommend you work with Hellenic Holidays, Inc. to ensure your trip is perfect. Petros from Hellenic Holidays was amazing when planning my vacation to Greece. When researching my vacation, Petros name kept showing up on different sites with excellent reviews. I met with Petros a couple of times and knew that I had nothing to worry about, he made great recommendations and gave great advice. On my vacation I visited Athens, Mykonos and Santorini. Every hotel was beautiful and beyond my expectations. All transfers to hotels were with private vehicles with drivers who were punctual and professional. Every restaurant, Petros recommended was excellent and the sunset cruise he suggested was one of the highlights of our trip. You can tell Petros takes his job seriously and only recommends establishments with great service and reputation. My boyfriend and I cannot stop talking about this trip to our friends and family, we are planning to go back to Greece next year. We have recommended Petros to our friends and co-workers. I guarantee that you will not find a more knowledgeable and professional travel agent then Petros. I can’t thank him enough for making this the best vacation we have ever taken the memories will last a lifetime. Petros Zissimos with Hellenic Holidays deserves to be awarded the top travel specialist for Greece. Petros treated Scott and I like good friends from the beginning. To help book the honeymoon of our dreams, Petros set aside some time in which he could talk to both Scott and I to get to know us. Petros gathered all of the information about how Scott and I like to travel including our preferred destinations, favorite foods, and favorite outdoors activities to design the perfect honeymoon catered specifically to us. After talking with Petros, Scott and I knew this would be a vacation we would never forget, but little did we know that he would far exceed all of our expectations. Before we left, Petros sent us a detailed itinerary that included all of the travel vouchers and also a list of recommended destinations and amazing restaurants for each city or historic district we visited. Petros took all of the worrying and planning out of our hands! During our amazing Greek honeymoon vacation we visited Athens, Crete, and Santorini. At each destination we were met with free upgrades to amazing hotel rooms with top of the line amenities and private transportations for site seeing and airport pickup. All of the excursions that Petros had booked for us were amazing because not only were Scott and I treated like family, but also we were met with the true culture and hospitality that is Greece!! We tried local meats, wines, and cheeses throughout our entire trip and I can tell you Scott and I are still craving all of the amazing food that Greece has to offer. Our last destination was Santorini. Santorini is every bit as beautiful as everyone says! 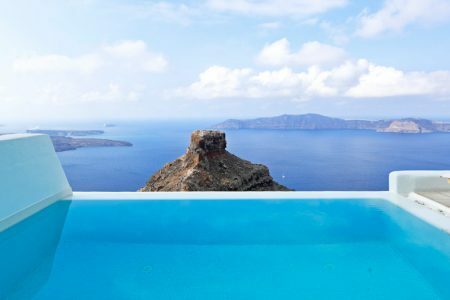 We stayed at the Astra Suites that offered breathtaking panoramic views of the entire caldera. The staff members were all extremely courteous and helpful and our room was so amazing that we had a hard time leaving it to explore. We were met with complementary wines, chocolates, turn down services, and daily breakfast served on our private balcony. Each night we watched the sunset from a different part of the island and like Petros suggested, for the most beautiful views we only had to step outside of our private hotel room balcony. Petros is the most amazing travel planner that we have ever worked with!! Throughout the entire trip we were treated like royalty! 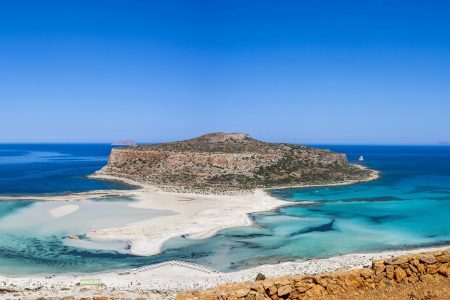 Scott and I have already vowed to revisit the Grecian islands and we know that we owe this once in a lifetime experience to Petros!! When my wife and I were planning our Honeymoon to Greece, we didn’t know anything other than our ultimate destination. Luckily we found Petros Zissimos of Hellenic Holidays, who took the stress out of our hands, and in turn, gave us the Honeymoon of a lifetime – in Athens / Naxos / Santorini! Petros is an expert on the ins and outs of planning any kind of Greek holiday – from the right places to visit, the good food to eat, and the things to see. He was always there for us, including when we were on our trip. In every location we visited, every hotel manager knew Petros and raved about him, just like we are now. It is clear those relationships are formed on mutual respect and in turn, that created a more special experience for us, the honeymooners. His knowledge and know-how are invaluable. His only drawback is that he can’t plan all of our non-Greek vacations! Part of our wedding registry was done through Honeyfund, which is where we found Hellenic Holidays. My husband and I decided to go to Greece for our honeymoon, and with the help of Petros from Hellenic Holidays, we were able to plan this trip of a lifetime. There were many travel packages to choose from, which we found really convenient, and we were able to customize the one we chose to fit our budget. It was always easy to get in touch with Petros, as he was either a phone call or email away. We ended up having to make several revisions to our itinerary before it was finalized, and he made the process very easy. I even asked him for recommendations for photographers in Santorini, and thanks to Petros, we found a photographer who took amazing honeymoon photos of us during our stay in Santorini. We received all our documents in the mail prior to our trip, and it contained a lot of helpful tips and information, such as a packing list, restaurant recommendations, and tourist attractions. We didn’t have a lot of activities included in our itinerary, so we would frequently refer to the guide to find things to do and places to eat. The hotels that we stayed at provided some of the best accommodations and customer service that we’ve ever experienced. Our entire trip went smoothly, especially with the ease of private transfers to and from the hotels/airports. Our honeymoon to Greece was one of the best vacations we have ever experienced. 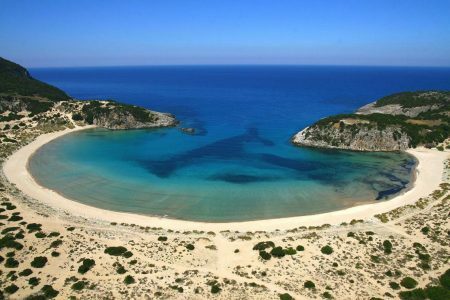 We will definitely book our next trip to Greece with Hellenic Holidays. I am writing to nominate Petros Zissimos of Hellenic Holidays Inc. for the T+L A-List. Petros set up the perfect Honeymoon for my wife and I. We went to Greece for 13 days. Our trip included visits to Athens, Mykonos, Naxos, and Santorini. Each island was very different from the next. They all had something different to offer and they all covered everything we were looking for during our honeymoon. We told Petros what we were interested in doing on our trip and he created an amazing itinerary. We first got a little history in Athens, then got to party it up in Mykonos. Naxos was really great to explore and also get to relax after Mykonos. Santorini speaks for itself. Beauty and romance are all around you. The food everywhere is amazing and all of Petros’ recommendations were excellent. He absolutely nailed it. We even forgot all of our travel documents at home before we left but he reconfirmed everything for us and faxed all of our vouchers to each of the hotels. We never had to worry about a thing and there was always someone there to greet us or pick us up at the right places and the right times. Everything was covered perfectly as Petros in extremely thorough and organized. He also took a very genuine interest in our feedback after the trip. I would highly recommend booking with Hellenic Holidays Inc. for any and all travel needs to Greece. We couldn’t ask for a better honeymoon and we can’t wait to book a return trip in the future with Hellenic Holidays. We will never forget our perfect honeymoon, thanks to Petros.